Click on the arrows below to expand the outline. Click a link to display that page. Be lost no longer! 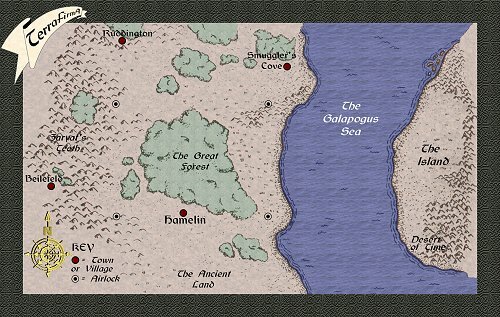 The map below shows a graphical depiction of the central part of the lands of Terra. 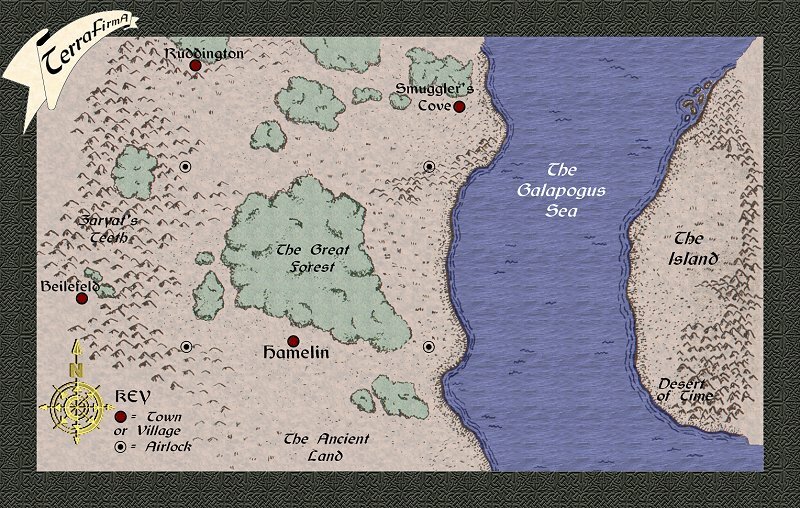 Of course, not every detail is labelled and there several areas which exist off the confines of this map, but this should help give you an idea what the basic layout of Terra is! Click on the smaller graphic below to view a large map in a new window (800 x 508, 158K).